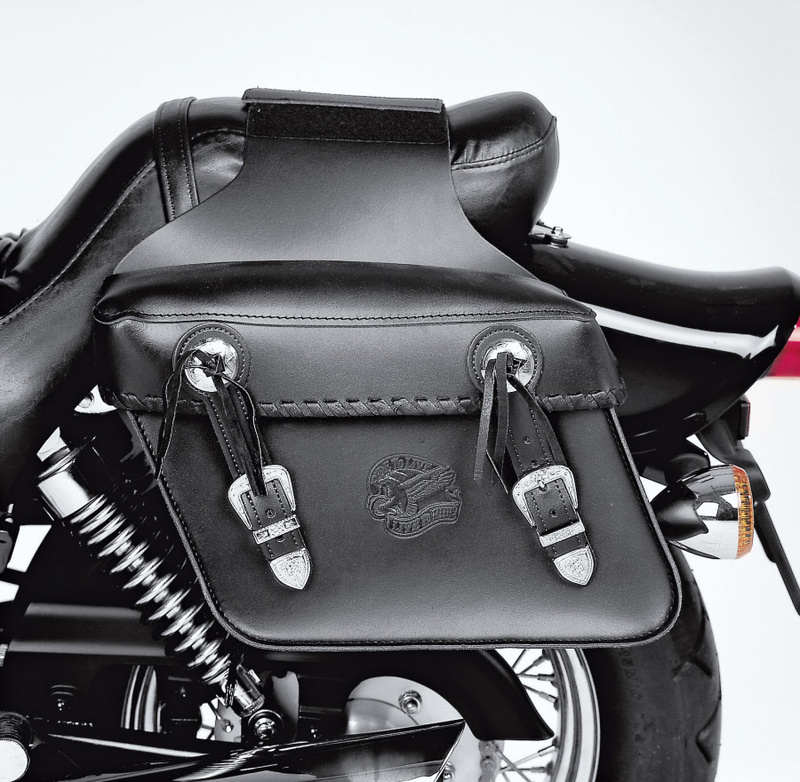 1pr Saddle bags made of cow hide. Large top openingGenerous lid. Plaited leather edging. 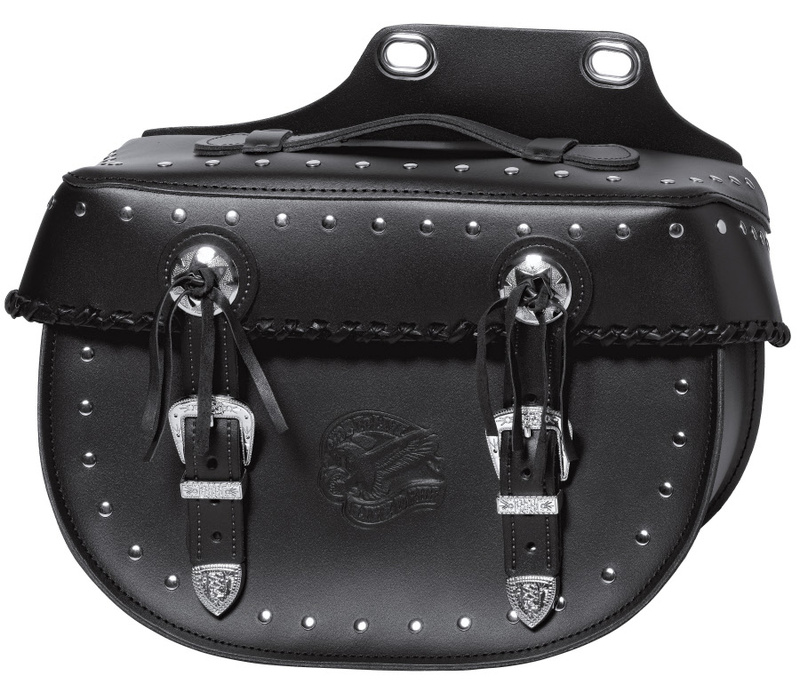 Closing straps with decorative metal clasps and tips. Fixing by Velcro system (Throwover style).